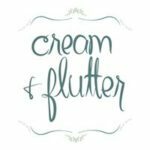 We are looking for fun, energetic, and respectful, team-oriented people who can commit to working at Cream & Flutter from May/June-October. Responsibilities include: Making batters, baking cakes and cupcakes, frosting cakes and cupcakes, other kitchen prep, and some customer service. Individuals must be able to work 10-15 hours per week (depending on the time of year), including 1 weekend shift. All applicants must be available over Memorial Day Weekend, 4th of July, and Labor Day Weekend. Our shift times are roughly 7a-11a or 5p-9p Monday-Saturday. Closed on Sunday. Applicants must be able to work independently, as well as in a group. We hold our employees to high standards and expect them to work quickly and efficiently. As a confectionary store, cleanliness is of the utmost importance, and therefore, those not willing to clean need not apply.